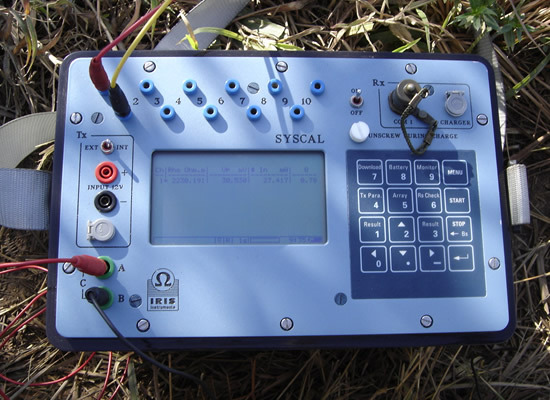 This geoelectric technique involves performing a series of apparent resistivity measurements made with an electrode arrangement in which one can promote a growing separation between the transmitting and receiving electrodes. The figure below outlines the execution of a SEV. 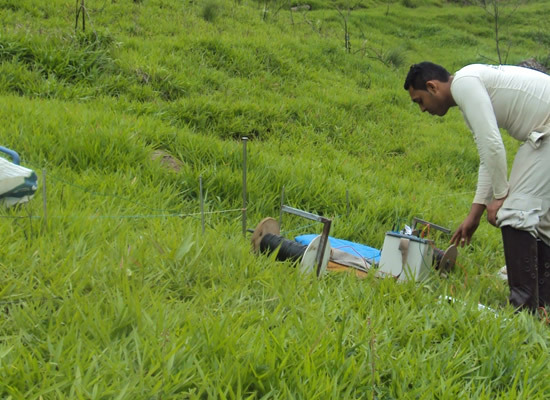 Scheme of arrangement of electrodes in the ground for implementation of vertical electrical sounding. 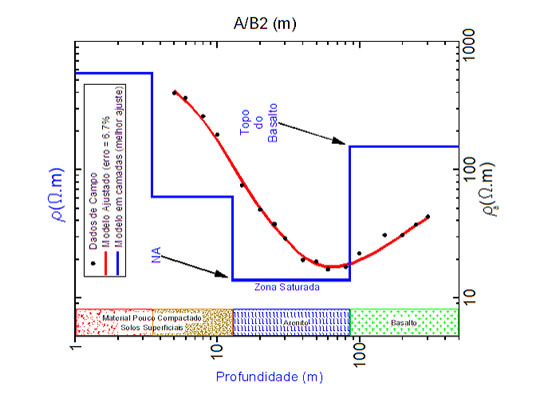 As one increases the distance between the current electrodes A and B, the total volume of the subsurface included also increases, allowing greater depth of investigation. 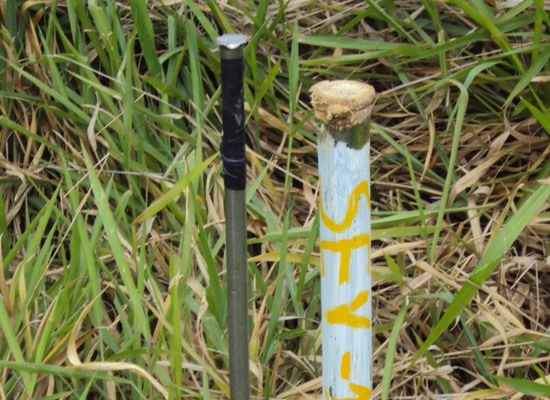 Thus, the results obtained from the measurements are strictly related to variations in resistivity with depth. Determination of the water level.